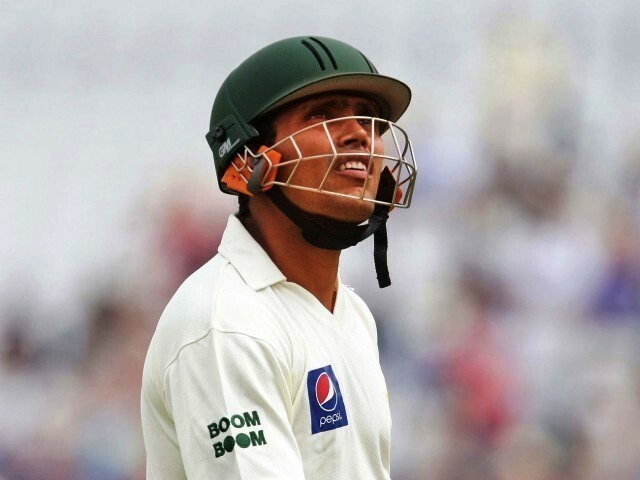 Akmal has even been cleared of match-fixing charges. Sitting atop Group B with six points, after registering three successive wins, Pakistan are now in a position where the team must reassess its strengths and weaknesses – a crucial time for an essential performance appraisal. During this performance appraisal Pakistan must capitalise on their strengths and eliminate weaknesses. Post appraisal the Pakistan team will find that, despite being the boasters of the most successful campaign by any team in the 11th edition of this mega event so far, Pakistan suffer from an acute shortage of form in their opening batsmen combination. Mohammad Hafeez and Ahmed Shehzad have failed to impress so far and the 1992 champions cannot afford to ignore this predicament any longer. This, right now, is the perfect time to make a change. Timing is crucial because the tournament is still in its early stages, and a proactive change right now can settle in and transform Pakistan’s future fixtures’ results. Shehzad, a burgeoning player, has been thrown into the limelight of the sport’s most extravagant event and the pressure is proving too much to handle. It is time to promote Kamran Akmal, a relatively experienced player when it comes to opening the innings, to partner Hafeez. This decision will be effective and serves many purposes. Effectively, Kamran, who is trying hard to find his lost form, will open without the pressure of going one down, with the team suffering from the loss of an early wicket. His mind set will be pressure-free and he will have an array of opportunities at his disposal. Consequently this means – assuming the opening pair piles up enough runs – the rest of the batting order, currently suffering from a lack of confidence, will have more chances at playing their natural game comfortably without mounting pressure. In case the opening partnership fails, it will automatically heap mountains of responsibility towards the two strong pillars of the Pakistan line-up: Misbahul Haq and Younus Khan. History tells us they will handle this responsibility well. On a positive note, Umar Akmal, Shahid Afridi and Abdul Razzaq will get more time at the crease to shine. The line-up will have one less batsman, but that is all the more reason for the rest of the seven to impress. Automatically this change opens up a slot for a specialist bowler. Using Saeed Ajmal and Abdur Rehman will add variety to the bowling attack in the subcontinent pitches which already seem to give the spinners unprecedented preference. Our bowling attack will strengthen even further, an added advantage that you cannot use enough of in these conditions. Holistically, after having made this change, Pakistan would have eliminated their weakness (opening combination) and capitalised on their strength (bowling). For tomorrow’s match, Misbah will take the driving seat. The 36-year-old was in supreme form against New Zealand during the One-Day International series against the hosts and has had a good World Cup. Pakistan’s next match is against New Zealand and they will know what they’re up against. I would be willing to go with the team combination Inzimam has suggested. Unfortunately, I don’t think the team management will do this after our batting against Canada. We won’t drop a batsman and bring in a bowler because we think our bowling doesn’t need fixing, our batting does. So at the most you might see Ahmed Shahzad being dropped for Asad Shafiq. A batsman replacing another. 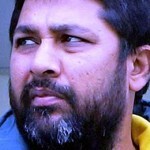 Inzamam was once asked a different question after Pakistan won the match, for which he was not prepared. He always had a standard response to the first question. But this time…..
Tony Greig: So Inzi, that’s fantastic, your wife is pregnant for the second time!